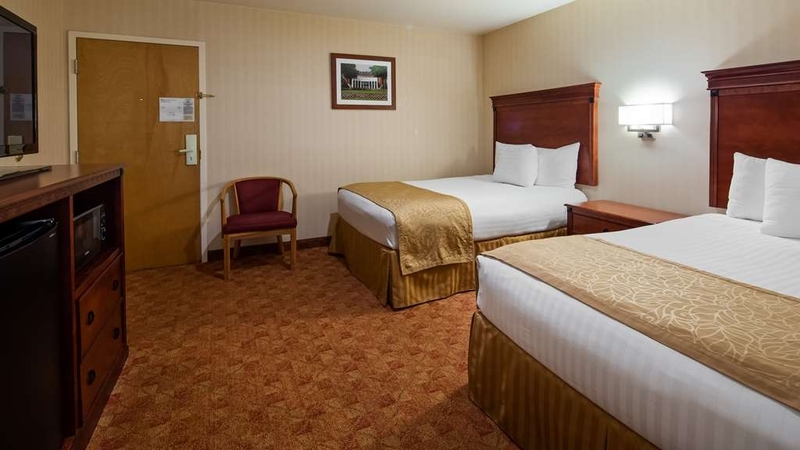 The Best Western Storrs is ideally located in the center of Mansfield Center. Come and experience our hotel near the major tourist attractions. Best price guaranteed and exclusive deals. I had left an item in my room shortly after checkout. It was something that relies completely on the honor system and Kaylee delivered. I hesitated calling, because I thought it would be a long shot, but am so happy I did. This Best Western has an employee you can trust in Kaylee! My wife and I were in town for one night to see our daughter's college bball team compete against the uconn huskies in the NCAA tourney. The hotel is renovating several rooms, so there is noise and activity during the day. Overall the staff was friendly and courteous, The breakfast was satisfying and plentiful. Our rooms was clean and spacious.Only issue: it appears that there was some construction activity or related commotion outside at 6 am Saturday morning. I don't think it was related to the renovations but it did awaken us. Its probably a little pricey, but we wanted to be closer to campus and comparable or cheaper places were much farther out. Where do I start? When I checked in I was given a room with one bed and informed the hotel was fully booked (it was 6:00p) when I requested two separate beds for my daughter and me. I had prepaid for a double room, so I pushed for the two beds. The receptionist searched and was able to “find” us a double room in the completely empty annex building. (Yes, we were the only ones there, until about an hour later when one other guest checked into the room next to us.) She then presented me with a credit card receipt to sign. I reminded her I had prepaid, and she apologized saying it had been difficult to find my reservation so she wasn't aware I had prepaid. The whole check in process was bizarre. Once in our room it was fine. My daughter had a gel eye mask she put in the fridge so it could chill. Turns out she forgot about it until the following night, after we had checked out. We called the hotel the following morning and spoke with a woman who claimed to be the general manager. She said nothing was turned into lost and found so I asked to file a theft complaint against the house keeper. She said the hotel was not repoanble for items left by guests. I asked to speak to the supervisor or the GM and she claimed she was the GM. I then asked for the owner's name and contact number and she commented he wasn't there. She refused to offer any assistances. Because of the bizarre check in and the theft of our personal item, I cannot recommend this hotel, at all. We stayed one night for business and will most definitely be back next time we are in the area. Staff was friendly and very accommodating. Room and common areas were extremely clean. Great location and front desk recommended a terrific restaurant in the next parking lot! The breakfast was perfect and a nice little bonus. Very happy we chose the Best Western. We had a family emergency that require a stay here for several nights. The staff was friendly and accommodating, but this place is expensive for what it is. It's tired and outdated. It dingy. It looks like they are expanding to add more rooms, but they should really renovated the rooms that they have. The shower leaked. The air conditioner/ heater was noisy. They have a standard continental breakfast that is included, but we are wary of the cleanliness and sanitation of their food. We were happy to have a roof over our heads for a couple of nights, but at $140 including tax a night, we moved to an rental. The check in process was fast and easy and they allowed us to check in one hour early as we had to attend a social function. The room was very clean and the beds were quite comfortable. The staff were incredibly friendly, each one taking the time to greet you. My only recommendation would be that weekend breakfast hours be a little later to allow guests to sleep in. The staff went above and beyond including mailing me my personal pillow, which I left behind accidentally. Very convenient to a couple of shopping plazas. "Excellent staff, serious plumbing issues"
The room I was in initially had a plumbing issues. Specifically, the pipes hammered badly when the sink faucets were turned. And the shower did not function at all, no water. Further, the whole end of the wall with the shower head was loose. I ended up changing rooms at 12:30 AM, which was rather inconvenient and wasted a lot of time when I should have been sleeping.On the other hand, the 2nd room was excellent. The desk night person was very helpful, accommodating and polite. I was upgraded to a nicer room and everything worked perfectly. All staff that I met including the maid service and check-in were very good. The hotel is clean friendly very pleasant staff members. It is always my go to place when visiting my son at UCONN. It has an indoor pool and jacuzzi which is nice to relax after the long trip to Storrs, and my son is close to me. "Great people, great value, great night "
The place is being gutted, but our older rooms were still fine. The complimentary breakfast was the gem. A machine that makes B+ pancakes on demand was the star, but I also enjoyed the western omelette, pastries selection and the solid medium roast coffee. All employees were great. Can't wait to stay again. We stayed as a family with our 2yr old son, Staff provided a nice child bed and were very helpful and friendly. The location is great with mall and stores within walking distance. The hotel is clean and easily accessible by car with lots of parking space. Our newly renovated room was wonderful. Of course everything was new but some real thought went into these rooms. There is an outlet on each side of the bed with phone charging built in. There is a built in large bench area for your suitcase. The tv is mounted, although a bit low, it's very nice. The only negative, to us, was because it's mounted low, it is difficult to change the channel without being right in front of the tv. The bathroom is very well done, with great built in shelving for towels. Great job! We will return. Oh, and the breakfast was great!! Plenty of choices for all. Room smelled fresh and was clean, we did not detect any musty smell and we were in the old wing, this place has been remodeled and is quite nice. I was very impressed they offered Almond milk as a non dairy option. Staff was very friendly and helpful. The hotel is only a 12 minute drive to UConn Storrs. The rooms have a microwave and fridge. The television has quite a few channels. They have a very nice breakfast with many choices (hot and cold).The staff are great! I've stayed here before and will stay here again. *It's a good value for the money. *The staff is friendly and very helpful. On this trip, two employees went out of their way to get us an early chevk-in. If not for them, my husband would not have been able to get to sleep for over 24 hours. *The rooms are always clean. *The free breakfast is typical pre-fab items. But hey, it's free. "Family weekend at UConn "
BW has the signature musty smell in the room. We got the old wing by the reception which has the window facing the corridor more like a motel. The brewer wing has a window facing the back yard. Pillows are small like cushions - carry your own and your own sheets as well if you like non smelly sheets. Shower and bathroom are clean and standard breakfast has the usual pre fabricated selection but large enough - hot food cold choices. Pool and gym are standard sizes It is 10 mins from Uconn and the rate is good that why we come back here. this hotel is always clean and well staffed with nice people, the only negative was they are remodeling but did not affect stay or service. The breakfast area is very neat and clean and the options are great, fresh pancakes and eggs, sausage, etc which is different then just cereal. Nice place to stay. "Nobody at front desk :( "
Been standing here for longer than is OK. Nobody is around. Not to mention the less than pleasant smell as you enter the lobby. Not off to a great start. I would not recommend this property. I will not be back. "Avoid! Avoid! Wet room, moist bed & carpet"
WORST WESTERN, TERRIBLE MANAGER. WET FLOORS, WET BED. Jenilu Zboray is the most incompetent hotel manager we have spoken to in all our travels. She has zero people skills and comes across as unhinged, uneducated and angry. She behaves like she hates her job, and blames customers for the hotel's problems. Our 1st floor room was grossly damp: moist bedding, moist carpets and damp bathroom floor. The bedding was so damp and moist that we had to sleep on TOP of our beds, like we were camping. The bathroom floor never dried out fully, so our feet would stick to the tiles, day or night. The room smelled like bleach. Our room key worked about 25% of the time; sometimes other guests had to let us in from outside. Locks clearly faulty. Double mattresses sink in the center, so only good for one person. Formerly The Willamantic Motor Inn, this structure was built over swampland. Maybe the reason for all the extra moisture..? It used to be a motel, but was enclosed with a carpeted corridor. The small hotel room window overlooks the hallway, not outside. You can see outside only if you look through the windows of the hallway. This is similar to the design of a prison. The walls and floors are so thin that you can hear everything, so count on being woken up a lot. In the hallways, heavy-duty industrial fans blow. They are loud. Outside our room, on a carpet, was a "CAUTION" sign warning of falls. This former motor inn has no elevators, so understand if you don't receive a 1st floor room, you will be carrying all luggage and/or coolers up stairs yourself. They don't assist you because they seem understaffed. I didn't see any luggage carts in the entire hotel. Homeless people milling around outside. Manager Jenilu Zboray is ruining the customer's experience with her dreadful attitude, poor listening skills, and inability to problem solve. When I complained about my family's difficult stay, she hung up on me. She said it was because of my language. I don't think saying one naughty word is reason for a hotel manager to refuse to speak with a customer. Each time I called back, she would put me on mega-hold. Only when I used a different phone number did I trick her into speaking with me. Absurd. Even then she yelled like an unhinged banshee. Jenilu has even wrongly accused another customer of smoking marijuana to overcharge the family's credit card an extra $200. I believe the word to describe that is FRAUDULENT. We got no refund or gift card for our terrible stay at the Best Western Storrs, considering our inability to sleep under the covers. Instead the manager blamed me. What a disgrace. Save yourself abusive accusations from manager Jenilu and just get an Airbnb instead. Even sleeping in your car would be a step up. We stayed here on our way into Boston. Very nice hotel. Breakfast was amazing. Nice clean room. Came in late and left early, but pool looked very nice. Was able to use the laundry, very nice and big commercial washer and dryer, at $2 for washer and $2 for dryer, a little more than I expected. The hotel is close to U CONN .SHopping outlet next door. A short drive to Mohegun or Foxwood Casino...Good selection for Breakfast. The Building seems newly renovated.We stayed overnight after a trip to Mystic Aquarium and it was an inexpensive quality Hotel that i patronize. "Great hotel at a great price with great staff"
The hotel is up to date, clean, and free of orders. Smoke free rooms are actually smoke free rooms because I cannot stand staying in a room that smells like cigarettes. The staff is great and the complimentary breakfast is very good. They have eggs, bacon, cereal, pancakes and coffee/tea. They also have a very clean indoor pool and hot tub. I would definitely use this hotel again. "Stayed 2 nights at beginning and then again at end of stay"
This was known as the Willimantic Motor Inn when I lived in the area > 35 years ago. It is currently undergoing renovations to truly bring it up to Best Western standards. The first 2 nights I was on the second floor. Beds were old and room was just okay. The last 2 nights, I was on first floor where it seems rooms had been updated somewhat and mattress much more comfortable. Staff was very pleasant and helpful when my key card would not open the side entrance. Breakfast was best Western standard- plenty to choose from. Felt price was higher than what I received but there isn't much choice in the area. We have been staying here for a few years for our softball team. This hotel is very clean, employees are friendly. They offer the biggest breakfast I have ever seen. Manager, Jenilu is very sweet and walked in the breakfast room for donuts for the customers. The Best Western Storrs exceeded my expectations in every way. Jenilu at the front desk was super helpful from the moment I arrived. My room was very clean with lots of towels and great mattresses. Poor lighting is often the case in the best of hotels and the lighting in this Best Western was great. Very clean rooms and very friendly staff convenient places nearby and good breakfast everything was hot and fresh, very helpful staff and they care about there customers:) I will be back again and recommend this place!!! The staff was very friendly and helpful. We had a wonderful time. We were in town for my grandma to revisit were she spent some of her time growing up. Great town! Cute and quiet place. You can't go wrong and the breakfast is amazing! I have stayed at this hotel many times and most times it has been excellent. This stay was no exception. Since it was graduation, it was a very busy time at the hotel. Not a detail was forgotten. And most importatntly, my friends and relatives were able to stay in rooms next to each other. "Safe/ Clean place to stay"
I enjoyed my three nights at BW in Storrs. It was very clean and the area felt safe which was a huge plus considering I was traveling alone. The staff was helpful and did all they could to meet my requests! "trip to uconn to move our daughter off campus"
this is a very good hotel for persons going to the universities and need to stop over. A mini mall is just 5mins walk from the hotel, McDonald is in front of the hotel as well. A supermarket is next door, we eat lunch there once it wasnt bad. Didnt get a chance to visit the icecream shop just up the road, because we didnt see any cross walk to get to the other side of the road and the side walk was just on one side. Staying at Best Western Storrs was excellent. I have been here for 10 days already and the staff is very friendly and helpful. I had a light bulb that blew out and it was a very fast replacement, I would say within a minute it was replaced. They have a huge hot breakfast, I was downstairs and the room was amazing, clean and the area was really peaceful. We have been coming here for 4 years now, graduation is tonight. We have had an amazing time here, Hopefully, we will be back to visit.You can not beat this place. It is amazing. Jenilu, the manager is always there for the customers as well as the employees. She is a caring person and she shines every time we see her interact with the public. This is a very clean hotel and people are friendly and very helpful. The bed is comfortable and they are remodeling the place, looks good. They breakfast was excellent. It was many options to pick from. "Great Value, Clean & Comfy"
Just 10 minutes from UConn campus (in Storrs, CT), close to shops and easy to get to/from. Clean room, comfy bed, and quiet. Ample parking. Very helpful staff. Not fancy but a great value. Will return! Dear Huskies Fan, Hello! I appreciate you selecting our Best Western Storrs hotel. Thank you for completing the survey. We want all of our guests to relax, enjoy themselves and make our place feel like home. Thank you for letting me know that everything was just right. Have a good day. We appreciate your loyalty to our brand l.
Nice place for the price. Quiet. Not crowded. Clean. Good breakfast with lots of options. Nice staff. Decent sized bathroom. Decent pool and hot tub. Nice location with lots of food and store choices near by. front desk are nice, room is clean, location is convenient, pool and breakfast are nice, price is perfect. definitely a wonderful place to stay over UConn area. My parents came from China and they had a beautiful week at here. "Great Hotel - Friendly Staff - Very Good Value"
My daughter is a student a UCONN. As a result, we've had the opportunity to stay at the Best Western, Storrs on several occasions. Honestly, I am not a fan of the Best Western Brand, we have stayed hotels that were literally disgusting, one even had feces all over the bathroom walls. But this hotel stands apart from the rest of the chain. In fact, I would go so far as to say that Best Western Corporate should use this hotel as a model for all of the other independent owners. It offers all of the amenities that higher end hotels offer but at very economical prices. The rooms are spotless, the offer a variety of fresh foods for breakfast, and the staff is exceptionally professional and friendly. If you need a hotel in the Storrs area, this is the place to go. Stayed here to visit family; enjoyed the pool though it could have been a few degrees warmer and the spa a bit cooler. Excellent breakfast including bacon, sausage, eggs, pancakes, fruit, cereal, yogurt, bagels and cream cheese and more. 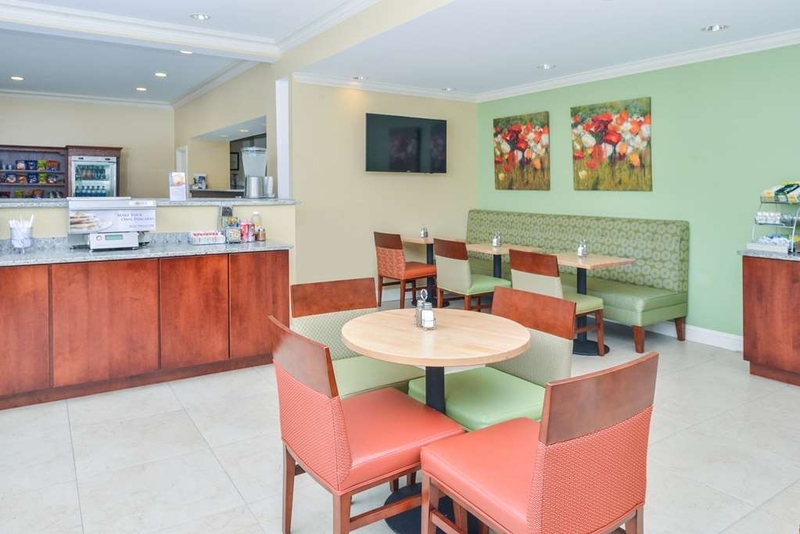 It is easy enough to find this Best Western, it is close to University of Connecticut and at the intersection of two major state roads. If you are coming to visit the school it is less than 15 minutes away. That is a BIG selling point. This facility has been and appears that it continues to be in the midst of some remodeling or upgrading. When I stayed it appeared as though some rooms were still being remodeled and some new carpeting was being installed. All-in-all this appears to be a well maintained and very clean hotel. The buffet breakfast was perfectly acceptable although hardly inspired. As for the rooms, they're small. The hotel has made best use of the limited space, but they are small. The bed was comfortable and there were plenty of pillows. The microwave was clean and worked and the refrigerator was HUGE. My only other complaint has to do with the privacy curtains. Each room opens to the main walking hall on each floor. The privacy curtains in each room do not wrap around the edges of the window. Even though I am almost positive no one could look in, there must be an easy fix to have the curtains secure closed better. Oh, and there is NO elevator to the second floor. This is a major drawback if you are carrying heavy luggage or if stairs are no longer your "thing." I'm sure they would help you, but you should know. The 1st floor may then be a choice for you. All-in-all an acceptable place to stay if your travels take you up towards Storrs. Incidentally, there are some good restaurants and even a grocery store nearby. 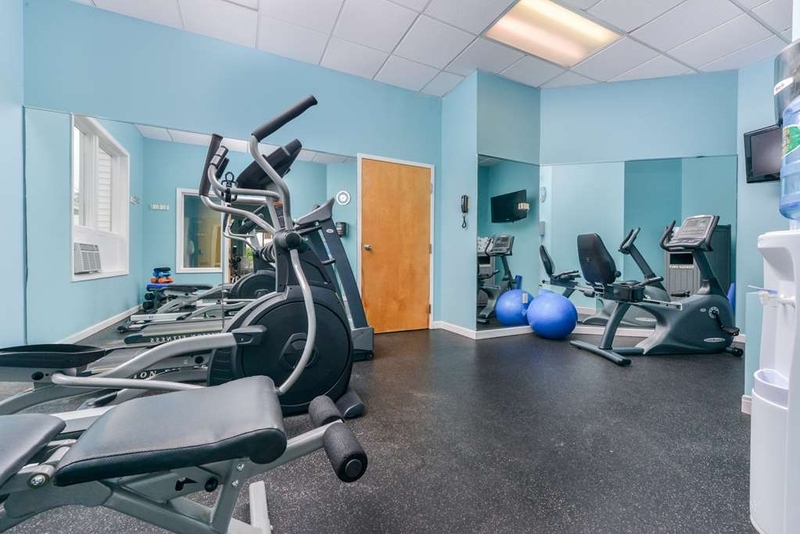 The BW in Mansfield Center is very convenient to the University of Connecticut, and offers good value with a friendly staff. Overall a good experience and the rooms were reasonably well equipped for business travel. The location is particularly helpful given its close proximity to UConn and to major roadways. It was a little hard to get past the unpleasant checkin experience. I wasn't greeted pleasantly and they couldn't find my reservation. I had a reservation confirmation # (I am a Best Western rewards member). For some reason, it wasn't showing up in whatever system they were looking at. I did ultimately get a room, but they charged me more for it than the rate I had reserved at. The room was dark with poor light. The only window was a small one in an alcove by the bathroom and not visible from the beds. A really unfortunate design. I used the exercise room which was tiny but functional. The continental breakfast was okay. This hotel would not be my first choice, if I ever am visiting the area again. Manager was fantastic and extremely helpful. She was very professional with a great attitude. This hotel is very close yup the university of Connecticut. I would highly recommend this hotel to others. Great hotel with friendly staff. Clean rooms and comfortable beds. The check in desk is open pretty late too which is great for those on the go and getting in late. Stayed at this hotel a handful of times and never had a bad experience. The Best Western Storrs was sufficient for our needs. They were remodeling but it did not impact us. While the beds were not as comfortable as we had hoped the room was clean. Breakfast was also adequate. We would stay there again if we are ever in the area. Stayed here for a combination work trip/family trip to visit my daughter at UConn. All the staff was helpful. The room was clean. I personally did not use the pool or exercise room but my family did and said they were both clean. As I was packing up the room on our last day a man, i assume the manager, asked if he could help carry our luggage out. I told him that was not necessary. He asked a few more questions about our stay and seemed genuinely interested in ensuring everything was up to par. I see there are a couple bad reviews here, but I personally would not hesitate to return to this hotel. "I'm afraid they have a checkout scam and poor security"
I stayed at the hotel with my wife and kids on Feb 22 and checked out on the 23rd. On March 7, I received a letter and a receipt for a $200 charge for smoking "a joint" in the room along with a claim that they found a joint on the desk. The letter was riddled with typos, used my informal first name and spelled my last name wrong as well. I called immediately and spoke with a gentleman at the front desk. He said I would need to call back and talk to the manager, Jenilu. I called the next morning and after being put on hold for a few minutes, I explained the situation to Jenilu who made it very clear that I had been smoking a joint in the room. I explained to her that I don't know how they made a mistake, but that I was there with my wife and kids and none of us were smoking anything, let alone a joint. She said they found a joint on the desk and she cannot refund me the money. I explained that there were construction workers working on the hotel, the side door to the hotel near our room never locked, even at night, and the door even required a push for it to shut completely. She would not refund the money despite all the alternative possibilities. I asked to talk to her manager and she said her manager is never there. I said that's ok, but I'd still like his name. She refused and said "he doesn't do anything". I was surprised at that response, but I asked for her last name and she would not give that to me either. For some reason she asked if she could call me back and I never heard from her again. Best Western HQ says they can't help and this is an issue I need to resolve with the hotel itself. I like staying here cause parking is awesome and staff is hospitable. The staff is always cool when I check in and check out very helpful. Although there are renovations at the moment and if you are not fussy about a little noise in the mornings then I say choose this hotel. The rooms I've gotten are super clean and neat. There's a McD's across the street and an Applebess next door at the mall. Plus there's a pool!!! I give this hotel 3.5 stars. The staff were extremely friendly and helpful. The hotel and our roomwere both sparkling clean. So grateful that the mattress was comfortable and the hotel quiet... I slept well. Good location with easy access to many amenities. We will stay here again. All rooms have windows facing hallways only- no outdoor windows directly. King bed was too hard. Staff was friendly and breakfast was typical and fresh. Good location by stores & restaurants easy to find as well. Stayed overnight for a business trip. It's a motel/hotel style mashup. The room was on the smaller side, but efficient. The two-bed room had two double-sized beds not two queen-sized beds which is becoming the norm. The free breakfast was more extension than I expected. It had some hot items as well as cereal, toast, pastries, yogurt and fruit. In my experience, one of the better free breakfasts of the value-chain experience. Hello Guest, I would like to thank you for staying with us recently. I am delighted to hear that you enjoyed your visit. I have to agree with you, our breakfast is outstanding. Looking forward to serving you again when you are in the Mansfield Center,area. Have a wonderful day. Place was great I would recommend. Not too far from Foxwoods about 35 minutes. Hotel was close to places to eat as well as shop, hotel service and breakfast was great as well as the room. I will stay again in the spring. Dear Guest, Thank you for staying with us recently. We certainly appreciate your loyalty to our brand. I am delighted that you enjoyed your visit. Looking forward to seeing you again in the spring. Happy New Year to you and your family. We came upon this hotel in our search for a place to ride out the blizzard while on the road. The staff, from the maintenance people to the front desk, could not have been any more friendly, polite and helpful. Manager Jenilu Zboray was especially accommodating and attentive during our stay. Their actions were all much appreciated! Dear Guest, It was with great pleasure to have met you and your family. Great people!! We sure did get a lot of snow. Thank you for taking the time to do the survey, I am so happy you liked your visit with us. Looking forward to serving you again when you are in the Mansfield Center, CT. area. Have a wonderful New Year. Poor housekeeping, low lighting, stained towels, cramped space. Not a "value". It was a bitter cold night (7 degrees), but the air was set to cold and running full blast when we arrived. The second room we booked was locked from the inside. We had traveled far, were in town for a funeral, and just wanted a good night's rest. Unfortunately, it took an hour to get it sorted out (sort of). The rooms were very cramped and in need of updating. I have stayed at Best Westerns in many places including Copenhagen and find I can trust them most of the time. They are very reasonable in price for what you get.Usually clean and comfortable and the staff very couteous. They are not the Hilton but they are certainly a worthy stay. I will continue to use them. "The best in the immediate area"
This hotel is just fine to stay at. It is in a central location and mostly clean. There is some riff raff that wanders in during the night that have no courtesy. 4 day stay with no hot shower. I have stayed here many times before with no issues. The issues this time were minor, but a hot shower is kind of necessary to not smell like a Carnie. No offense to Carnie's. We came from Indiana right before Thanksgiving to spend time with our daughter's family in Massachusetts and our son's family in Connecticut. This location works out perfectly for us. Two problem areas brought this evaluation down from excellent to very good. We will stay here again and most certainly recommend it. This hotel is clean and comfortable and is the closest to the UCONN campus. The hotel was renovated since our last visit three years ago and is currently under-going a furher renovation. The moved the breakfast area from a lower level to nest to the check-in desk which is much more convenient. The room had a stale smell like it had not been used for some time. Hot water problems the first day and no hot water the second day. At check out the desk clerk made no offer to compensate for the inconvenience. Room was stale and towles were stiff. "Smelly!Needs new decor! Also pool area was unusable and unsafe!" The hotel was a big disappointment! We found the smell in the lobby to be nauseous. The outside covered hallway was strange and not heated. The odor in the room was even more nauseating! We were totally grossed out and considered leaving as the smell made it difficult to breathe and eye allergic! We could not find a hotel in the area at that time of the night so we had no choice but to stay!I It was an expensive unpleasant experience! Overall good place to stay. Only 2 problems occurred. The toilet fixtures needed fine tuning, otherwise the water would run after flush. Jiggling the handle temporarily solved the problem. the other problem is more serious, The entry doors for the building we stayed in need to be locked at night. They were not. We stayed at Best Western, Mansifeld Center, CT to visit a college. The hotel was clean, the staff was professional and the complimentary breakfast was delicious. If our son decides to attend college in this area, we would definitely stay at the hotel, again. "Very nice hotel with a pool and a hot tub, prefect for fall weather"
I enjoyed my check in experince very much with a nice young man (Late 20's) that help us out find my room and let us know where to get a quick bite to eat. Upon check out it was very fast with a young lady very nice that got us on our way, I would stay here again. "Decent Location / Decent Accomodations"
We did have some problems with noise at this motel but the staff immediately provided a second room location and the problem was solved. The staff was very responsive. We enjoyed the location of the motel while visiting our friends in the area. My son had an early orientation at UConn and stayed at this hotel to avoid having to travel early. A nice and clean hotel. 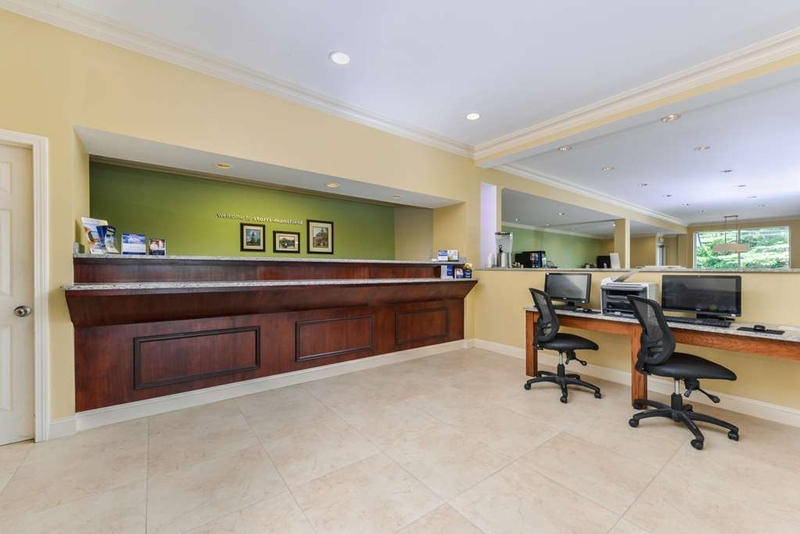 The staff is very friendly and accommodating, I had a number of questions about the area which the desk clerk at check in gladly answered and offered his opinions which I'm glad I followed. The breakfast I thought was very good for being continental. A lot of different options and the quality was good, scrambled eggs, bacon, turkey sausage, waffles, fruit, yogurt, cereals, bagels, english muffins, plus more. Very pleased with our stay and would recommend this hotel. "My first bad experince at this hotel"
"Clean but aged and overpriced"
Pros: clean, well-maintained, helpful and courteous staff. Cons: no elevator, bathrooms down steep flight of stairs in lobby, reconstituted eggs, paperthin walls and ceiling's. had to change rooms for the second night because of the person above me simply walking around was so noisy. Conclusion: this is unfortunately the only game in town, but they need to up their game if they want my business next time. I would be willing to drive a half hour out of the way to stay somewhere else. 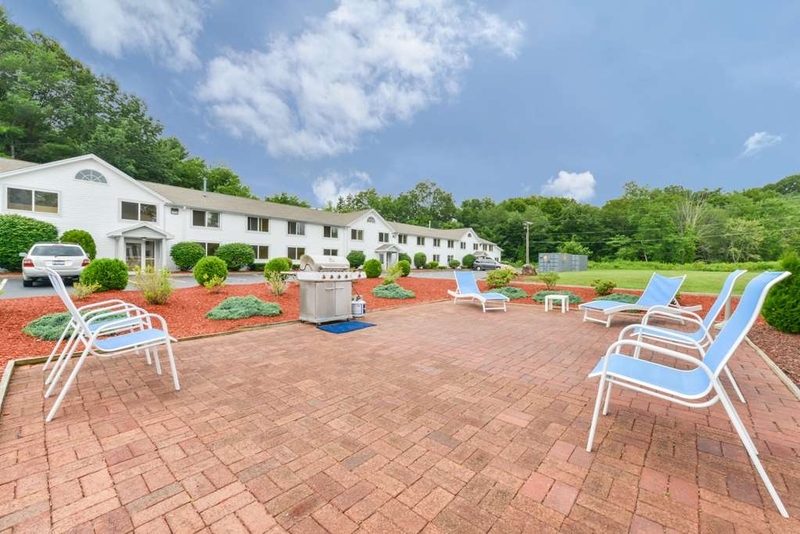 I would recommend this motel, clean and well presented rooms, a short drive away from the University of Connecticut. Had an issue with the aircon in one room but other than that, pretty good. I would say, however, lock up your valuables as we had a couple of non-valuable items taken from the room. If the items were of value, I would not be leaving a good review! "Makes sense to stay here"
I just want to say that we enjoy staying here. We come every year for a couple of days at a time, We are photographers for the local schools and this hotel is very clean, people are friendly, they offer a big breakfast that has a lot of hot items on the menu. It is very close to the schools that we shoot at. very pleased, no problems.staff efficient, room well maintained, nice bed, good breakfast,convient location. heating control a bit hard to get right.an area map, either hand out or available would be useful.a list of area attractions the the room information book would help. 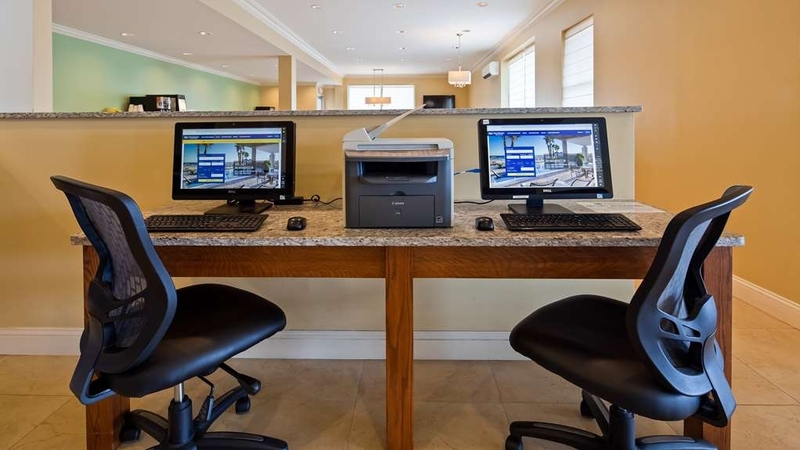 I enjoy the Best Western Inn which is convenient to my visits and has staff who are very accommodating and helpful. They provide a very nice breakfast. I always look forward to staying at the Best Western k owing I will get a good night's sleep and be nourished in the morning before venturing forth for work or adventure. Smells bad and has no windows that look outside. Old hotel hardly renovated and is just an overall bad experience. Get an Airbnb instead. It smelled like urine. I am not just another disgruntled customer rambling it really was that bad. "Outstanding hotel, Thumbs up! :-)"
This is a hotel that is super clean. It is about 12 minutes from University of Connecticut. Convenient to the mall, it's beside Best Western. Lots of fun places and eateries to go to. Great hot tub and the breakfast is hot and huge. Incredible employees! Kaylee, Jenilu, Sammy, and Daisy are extremely kind and helpful employees. The room are clean and food plentiful. I slept peacefully thanks to the quiet room. I would definitely recommend this hotel to a friend. We were visiting our child who is attending college in the area. We stayed one night. Hotel was very clean. Breakfast was good. Employees were eager to help. We did not get the wifi to work. We didnt have time to figure it out. I'm sure if we asked, the staff would have helped. We would stay here again. "Average or less, but one expects more for the price"
We've stayed here before, once or twice per year for business. Could clearly hear the people walking upstairs. You have to have the a/c on because there is no window, except to the hallway (making the room unavoidably light all night), which meant that by the time I got to bed, it was too late to request an extra blanket because the bedding was so thin, (Plus, another time when I did ask for a blanket, they said no!) The switch plate in the bathroom was dirty, the frame around the mirror had toothpaste splashes. The bed was not comfortable. The decor was dated, but in fair to good repair. As someone else said in a review, it's more like a motel than a hotel. If it cost less, I could accept these inconsistencies. It's generally somewhat decent, safety isn't an issue, and we could bring our own extra blankets (I did one time!). My spouse said we're staying elsewhere next time. "clean and nice fine for 1 night stay"
It's a fine place for a 1 night stay, the location is okayish. staff is friendly and helpful. Breakfast is fine. If i was in the area again and needed to stay somewhere for 1 night I would stay here again. There are not many hotel choices in this area. I was looking for something simple and clean, The man who checked us in was very nice and the process was quick. However, I do not understand how Best Western can be so inconsistent. I generally do not stay with them and will seek other options in the future for these reasons - The hotel is old and smells musty. The floors are thin and the footsteps above us woke us up. There was a hair in the bathtub. The bed was overly soft. The windows in the breakfast room and the doors were filthy. Yuk :(. You guys can do better. very satisfied with my stay. Will stay there again on my next trip to Mansfield. Rooms are clean and the services are perfectly adequate for my needs.I would recommend this hotel to my colleagues who also stay in Mansfield As I believe it is better value for money than hotels nearer to University of Connecticut. The staff is friendly and helpful. The room is not fancy, but clean. They have a breakfast which was o.k. There is a Applebees and a mini mall that's only a short walk. There is a pool, but we did not use it. They have wifi. The hotel is on a awesome location if you want to shop! The beds are super comfy and the people there working are very plesent. The breakfast was very good ! Plenty of things to chews from! I would definitely stay there again! "Swimming Pool and hot tub were very dirty. The room had an odor and the parking lot was full of people lingering around"
Swimming Pool and hot tub were very dirty. The room had an odor and the parking lot was full of people lingering around cars and being loud. Buildings were scattered around and it is set up more like a motel then a hotel. This hotel was very comfortable and quite nice. It appears that they are in the process of sprucing up the interior. Painting, carpeting etc. The breakfast was typical yet a tad above average. We found the close proximity to UCONN, although not next door is convenient enough. Worth a try. This is the ONLY show in town. With no competition, there is no urgency for renovations and upkeep, and in this property it clearly showed. The hallway was hot, humid, and full of flies who eventually found their way into the guest rooms. "Good value for the price - we'd definitely go back." There was no desk clerk at the front desk when we arrived because she was tending issues in another part of the motel. She apologetically returned to the desk and checked us in. Then we experienced a few hiccups with our room assignment (faulty room access cards and then a very smelly uncleaned fridge, which resulted in two changes in our room assignment), but the desk clerk resolved the problems very quickly. Management should have had two desk clerks on duty; the one that was on duty had to leave the front desk unmanned frequently as she ran all over the motel fixing problems. It wasn't fair to her, but she was resilient and professional. The room we finally stayed in was very nice and very clean and good value for the price. "Musty but okay place to stay"
Always musty in this place. The ac not luxurious for sure but suitable. exterior A/C vents into the main interior hall adding far too much moisture to air making it extremely humid and musty. But it's the only place to stay in this area. Rate is high for what you get. Outdated tired decor and musty but feels safe. "Friendly staff/easy access to hotel"
We had an enjoyable stay at the hotel. We needed a place quickly due to a family funeral and the hotel was easy to access, clean and the staff extremely friendly. Breakfast was enjoyable. We would stay here again. it was very quiet and had no problem sleeping. Although the hotel smells old, it was very clean and the staff was nice and helpful. The beds were comfortable and it was an overall good experience - once I got the smell out of my mind. We had a problem with the hair dryer, but it was quickly resolved by the front desk. Dear Guest, I would like to thank you for visiting with us and I am delighted to hear that you enjoyed your visit. Regarding the smell that you have mentioned, I am not sure what that smell could be. I do know that we are having our parking lot freshly paved and that does create an odor. Also, we are remodeling our hotel and should be complete in a few months, that would only give you the smell of hot wires and fresh lumber. I will have a board meeting and discuss this concern and find out what was causing the smell you have mentioned. Thank you so much for bringing these concerns to my attention. Have a wonderful summer. Stay safe. Looking forward to serving you again when you are in the Mansfield Center, CT. area. "I ENJOYED MY TIME AT BESTW ESTERN"
We were visiting our family , we live in a different state. The best part was knowing that this hotel is very caring and they always want to help the customers. We liked it here and we will be back, The bed is very good and comfortable and we liked it a lot. 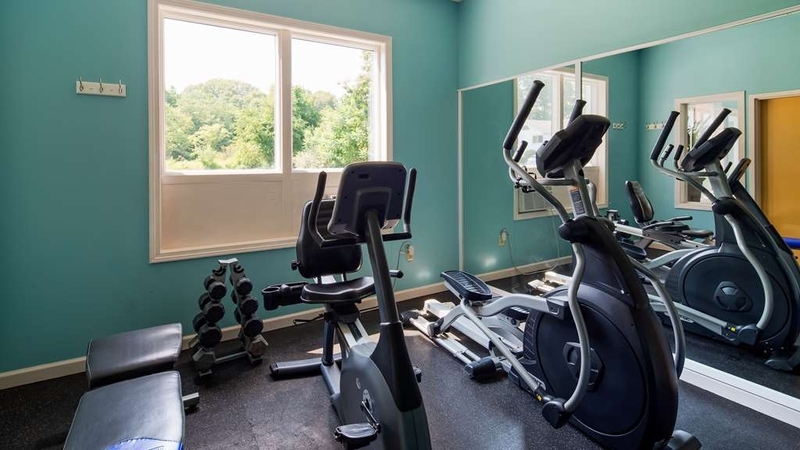 The hot tub is very good and very swell to have the exercise room near the swimming room. This is very convenient. I have never in my life when to a hotel that offers so much breakfast.It was like a biuffet. The place is very kept and clena. The room was super clean and the all the extra things that were added is an added plus. The hotel is located near restaurants and placed to take a walk. It is rather nice to enjoy the swimming pool. Breakfast was offered with a large amount of foods.Stay at Best Western in Storrs, you won't be disappointed. "I always enjoy stay here." This hotel is close to the mall, convenient for my business, The employees are wonderful and the rooms are always clean, The office employees are very sweet and quick. My room has always been ready when I have arrived early. "thumbs up on this place"
100 percent happy with this Best Western. It is near a golf course. There is so much to see in the area. There is a restaurant across the street that makes home made ice cream. Even a car dealer company that comes in handy should you need any car maintenance. If you are in this town, I recommend this hotel. "NOTHING BUT THE BEST OF EVERYTHING"
Clean room, big breakfast with lots of hot food choices, I had an upstairs room it was peaceful. My favorite part was the hot tub and swimming pool, I might add that the temp. was perfect. 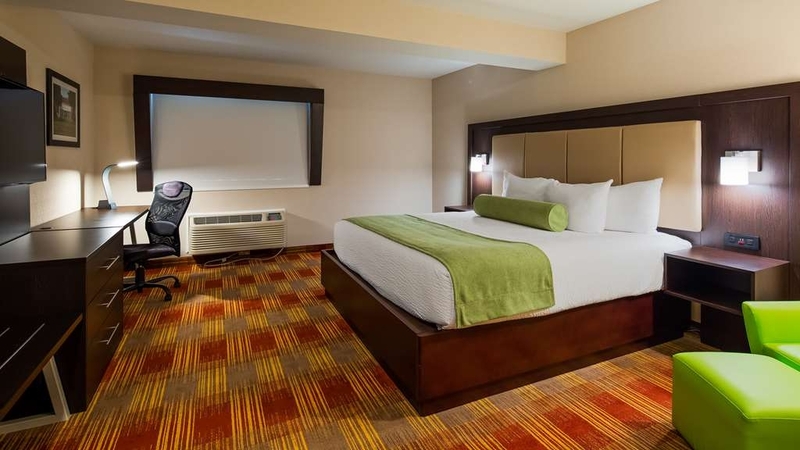 If you are looking for a clean hotel with nice employees and near a mall and the colleges then this is the hotel you are looking for, Don't forgot about the big breakfast that has a lot of hot food choices. "Amazing place for adults and kids alike"
This was a slight uptick in price from the places I was shopping through but my sister convinced me to take it. It was worth every penny (btw, $105 per night versus $70 or so per night at other places, but not the $149 at still some others). No disappointments at all from room comfort and care to the friendliness of the professional staff. Dear Priscilla, Hello! I am so happy you enjoyed your visit with us. It is always a great feeling when we hear that our guests are having a great stay at our hotel. Looking forward to serving you again when you are in the Mansfield Center, CT area. Our place will be even better before the year is over, our renovations will be complete and this place is going to look truly amazing. Many thanks to all of our dedicated members and guests that visit with us. 2.5 rating. The room was "meh". Lighting was poor and the mattress was so hard and lumpy neither my husband or I got any sleep. The bed groaned every time one of us moved. You can hear your neighbors, which at 2 AM is not optimal. There aren't many choices in this area, so be prepared to over pay for no rest. Dear Heather, Hello! I am truly sorry for not meeting your expectations during your recent stay with us. I would like to offer you 10 off on your next visit with us. There is no expiration date on this offer and can only be redeemed at our Best Western location. Looking forward to seeing you again and making sure your next visit is a much better one.Thank you for bringing these concerns to my attention. "A quality place to stay"
The staff is friendly, the decor is new, and the food is good. It's also in a good location. Close to the UCONN Dairy Bar (Heaven!) and shops and local restaurants. It had never been overwhelmingly crowded, which I like. I recommend it! "Clean, Good Breakfast, Small/Dated Room"
The room was clean, and the staff was courteous. The room was small, and my bed was uncomfortable. When I started the water to the sink, it sounded like a freight train. The shower water was in reverse (hot on the cold side). The door to the outside wouldn't latch properly, so I felt like anyone could come into the hotel... potential security issue. Breakfast was great. I might spend the extra $ to stay at the Nathan Hale Inn next time. This is a moderately priced motel. Its central location is the biggest factor in staying here. Lots of country-side to explore. UConn 10 minutes away. Mystic only 50 minutes. The place is staffed by friendly helpful folks. The cleanliness is second to none. Breakfast, while relatively standard motel food, was fresh and very tasty. Rooms were average, but also very clean. Only thing that kept them from a 5 rating is the bed is a bit tired and the decor needs frehening, BUT this does not detract from the overall experience. It's more like a motel inside very low class. The front desk were very helpful which was the best part of my experience. Stains were on the sheets and ants were in the bathroom. Majority of the rooms didn't have a window. The carpets were wet and smell like a mixture of wet dog hair and urine. Very noisy window air conditioner and noisy bathroom exhaust fan. Windows in room faces hallway, no outdoor view. Room with two beds were double size not Queen. "Great place to stay when visiting UConn !!!" There are limited accommodations around UConn/Storrs. This hotel is only about 12 minutes from the center of town and worth the drive. The rooms are very nice and the breakfast is quite extensive ... eggs, bacon, pancakes, cereal, etc. They even have a pool! I definitely will stay here again! I was nervous about staying at this hotel since it didn't have a great rating but I was pleasantly surprised. Ok it's not that impressive from the outside but it was very clean, the staff was friendly and helpful. The room was clean, functional and the free breakfast had a wide variety of items including eggs, bacon and sausage. The pool area was also very clean but strong on the chlorine. Overall a great value! "Many issues with this B.W." I'm not a complainer normally. This hotel had a good price and convenient to my family. The issues I've had here are terrible and ongoing every time I stay. AC full of smoking dust, poor lighting ,poor mattresses, dirty carpets, ( place is always full of contractors), very noisy and the latest rash issue . I'd lower the price to $49 or shut down and renovate the place. "No water at breakfast and if you ask they tell you to buy it"
I've stayed here before. The rooms are much nicer since last year. The AC does not work properly (the fan does not blow at the appropriate speeds no matter the setting). The floors above creak when people walk on them which can be a problem if you are one who wakes to noises. WORST part, they do not provide water at breakfast. The only water available is infused with fruit. When I asked for plain water I was told I could buy it. I explained they could bring up pitcher. I was again told I could buy a bottle. This is unacceptable. It should be noted that while I sat there at breakfast the staff took the fruit infused water down to where the food is prepared and refreshed it with ice and more fruit. And they did not bring any fresh water because?... Apart from those significant pieces, the young man who greeted me at arrival and departure was delightful and everything a customer service agent should be. Too bad he wasn't there when I needed the water! "Nice value option for uconn visitors"
This was okay for just some place to sleep in between meetings. The beds were way too soft to be comfortable. I would have liked to have a window. The only window makes the room have zero privacy and no way to have fresh air. My dad and I were in town for a relatives Birthday party, and the Best Western was the closest to the function. We were able to check in early, which helped greatly then we didn't have to come back in the afternoon to do that. The rooms were great, very clean. The bed was not as firm as mine at home, but it was good. My dad was happy that he could lounge on his bed to watch a Red Sox game! One of the better Best Westerns. Older design but owner works hard to renovate and keep clean. New pool area very nice. Very convenient to services and shopping. Small reception and good breakfast area-smart! Overall we had a nice stay. Staff was very friendly and helpful. Room was clean and comfortable; just could have been alittle cheaper for the location. Breakfast was good. Only issue was hot water ran out quickly. Very clean. Nice staff at the front desk. Good breakfast with real butter, chobani yogurt, pancakes, eggs, bacon, fruit, cereal, etc. 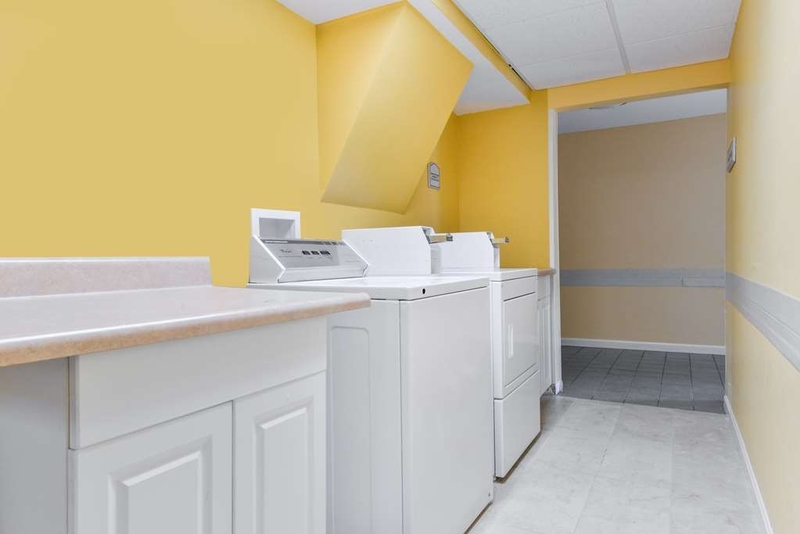 Convenient location close to the UConn campus.Fridge and microwave oven in the room. Comfy beds. Coffee, tea and juice always available in the dining room. I highly recommend it. I stayed here a few weeks ago - when I travelled for a funeral. This hotel was very clean & the beds were very nice. They were doing a renovation - so the pool was not open. They have a complimentary breakfast which was not bad for a continental sort of self serve - however the coffee was terrible - perhaps they may have heard of Keurig coffee? Hello Guest, I am very sorry for what you encountered during your recent stay with us. All of our rooms are non smoking and sometimes our guest will break the policy and have a cigarette in their room and sometimes in the hallway area. I would like to invite you back and offer you 10 off on your next visit with us. I am truly sorry that your visit was not what our expectations are. Looking forward to serving you again when you are in the Mansfield Center, CT. area. Hotel staff is awesome and room was clean, bed most comfortable of any hotel I have ever stayed in. Breakfast was good and choices were plenty, coffee available 24/7. Beverages all day. Any items you need for personal use are available if you had forgotten anything. The facility is excellent to stay at. The rooms are clean and the section we stayed was recently remodeled. The staff is friendly and helpful. Planning to stay again in June when we come for our grandson's graduation. "Overnight in Conneticut, visiting UConn." Clean but dated room, very comfortable bed. Staff amenable. Near to restaurants and mall. Usual breakfast foods. No elevator, needed first floor room some traffic noise in the early evening, but not bothersome. Overall a very good stay and I would stay there again. A good value. "No hot water and very little water pressure from the shower." I like the hotel for many reasons but I cannot give it a higher rating due to the shower and the noise. Our room was very noisy. People stomping around above us very late and a noisy group in the hallway Bed was comfortable. What was awful was going into the shower and anticipating a nice hot one and instead getting freezing cold dripping water that would not even rinse the soap from my hair. It was very chilly out that day ( April) and I was shivering all day from that freezing cold miserable shower. I do not understand if it was our room only or the whole place. I never bothered to complain as we were checking out soon. Breakfast looked good but the morning we were there, a ton of teens were gathered in the breakfast area and there were no places to sit and a very long line for food. I was hoping it was better as my daughter is at UCONN If it means getting a hot shower, I will drive a longer distance!! It was unfortunate that they did not list on the website that there were renovations being made, especially in the pool area. 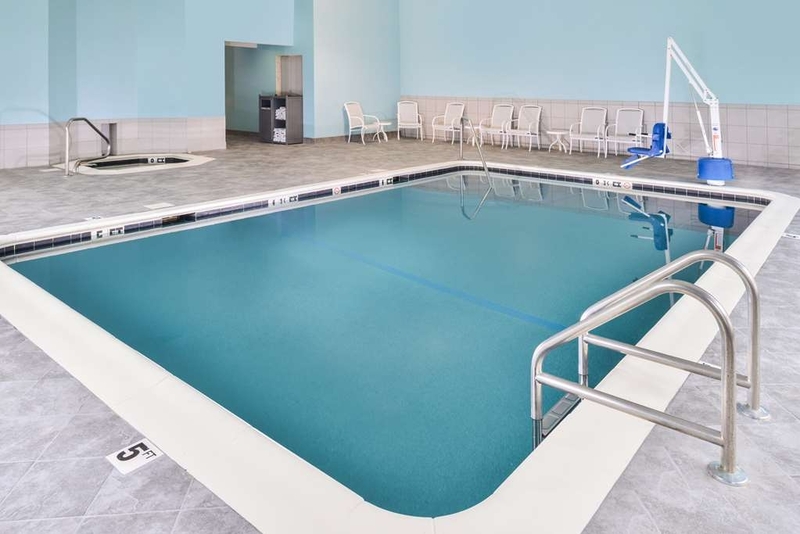 I choose this Best Western for the indoor pool for my son and grandson to be able to unwind. They were both disappointed that the pool was closed for all 3 days that we were there. Friendly and fast check in. Very clean, exceptionally comfortable room. Great bed! Nice decor, seemed fairly new. Good breakfast. Great location about 10 minutes down the road from UConn. No complaints! "Clean and not too expensive"
Everything was fine. The breakfasts are as expected for a free or included breakfast in the price. I didn't eat there, but, I can see many people may enjoy it. Clean, helpful staff. Lovely pillows, but, way to puffy for me I bring my own. Swimming pool would be nice if I had time to use it. An acceptable room for the night. No windows leading to air though that was not fun...you have to use the air system to get air. "Our annual pilgrimage for backetball." Each and every year we require a room during the basketball season. We were fortunate to find the Best Western Storrs only five miles from the UCONN campus several years ago. Ever since that first meeting of accommodations, we venture back annually due to the personnel's treatment and the satisfactory price agreement, together with a comfortable room. 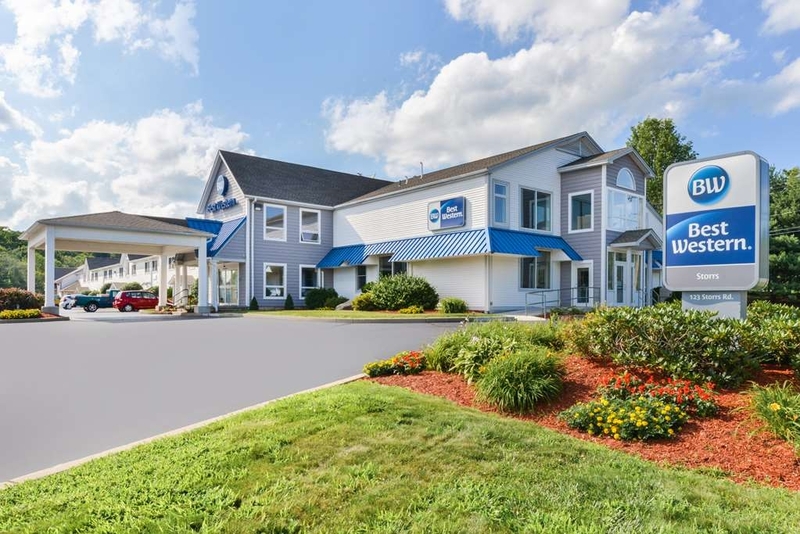 "Great place to stay if you are at UConn"
If you are at the University of Connecticut, the Best Western is a 10-15 minute drive from campus. It's not quite as convenient as the Nathan Hale hotel but less expensive and it's an easy drive from campus. The staff are incredibly friendly and helpful, which makes the stay. And the room, though not upscale, was clean and very comfortable. We had everything we needed. "Really your only option unfortunately"
Did overnight stay to visit UCONN. This hotel is the closest one to the University - except for B&B's - 10 min drive. Older hotel but very clean. The beds were comfortable. The breakfast was better than average and had a good variety. The hotel is right next door to a mall, grocery store and McDonalds. In Conneticut for an event at UCONN and needed a place that was close and easy to find. The staff was very friendly and the place was very clean. The complimentary breakfast was more than was expected. Nice variety. Would definitely stay here again. 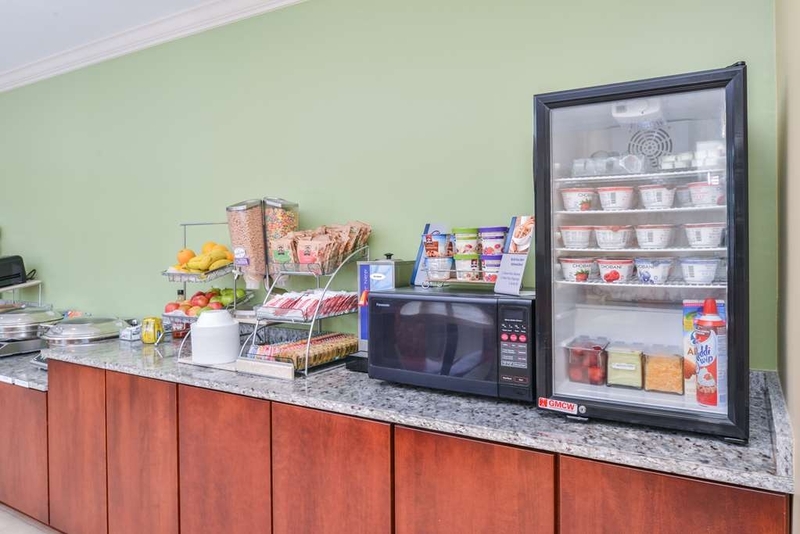 "Given the options for the area it wasn't too bad, although a little noisy"
Needed a place to stay while attending an event at the University of Connecticut at Storrs. Didn't want to pay to stay on campus and didn't want to stay out along I-84 either. That really narrows down the choices. The hotel and rooms are clean, and include a microwave and refrigerator. The bed was OK. Not overly comfortable, but not bad either. While shampoo and other toiletries are provided, its a bit spartan in with no soap dishes in the shower/tub. Not complaining - letting you know what you are getting. On the other hand, the breakfast area is quite spacious, and served a very nice variety of food. Appears that at one time the rooms opened to the outside and subsequently have been enclosed. While that is good for protection from the elements, unfortunately when combined with room doors that allow light (and sound) through the frame it means that when groups of people are loudly passing through the halls the sound comes right into the room. In addition, the walls are a bit thin and although you can't make out what is being said, you are well aware of conversations taking place in adjacent rooms. 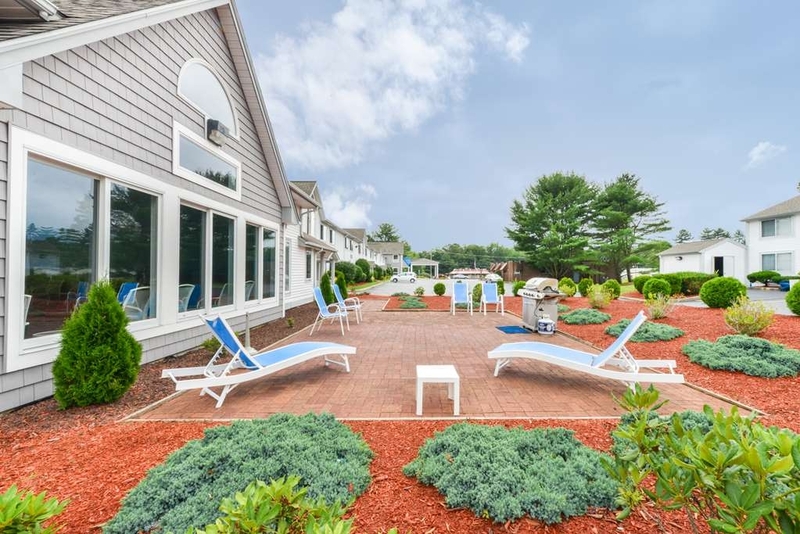 The price is comparable for other lodging establishments in central Connecticut, and is very conveniently close to UConn. While OK for a night's stay for me, it is not a place I would book for a multi-night stay, especially on a weekend, as I prefer a little more quiet. We visited our son at UConn which lasted into the later evening. Even though we live in southern CT, we decided to spend the night near UConn and not have to travel home. Hotel is 10 minutes from the campus. The room, which was on the smaller side had a king bed, but also a fridge and microwave if we needed it. Room was very clean and well-maintained. We had an extensive continental breakfast the next morning which was one of the best breakfasts we've had at a Best Western hotel. I must also add that this hotel had been fully booked due to a local conference and wedding. The hotel staff had taken my name a few weeks earlier and actually called us as we were arriving into the Storrs, CT area to see if we still needed a room. Good thing we had that overnight bag packed....just in case! Thank you Best Western Storrs-Mansfield! "Stellar staff,adequate hotel, good complimentary breakfast"
The hotel is average and a bit dated, however it is very clean. It smells a little "punk" though. The staff is quite friendly, competent and helpful. The breakfast had quite a variety of fruit, breads, yogurt and oatmeal cups as well as fruit for make your own pancakes. We were there on business,woke up to my Gf had been biten.. By bed Bug.Brought the bed bug to manager Cindy lou,she gave us a free night.. Put sign on door,guess it doesn't mean nothing,they knock once and walked right in we were sleeping!! Then after the free night she came knocked on door said we had to leave that we were saying there's bed bugs to customers we never said anything thing to anyone,she wanted us to keep quiet.. Manager Was so rude!! Keys never worked always had to go to desk to get new key 3_4 times a day.. Overall do not stay there!! Oh she gave us Quarters to wash our clothes so no bed bugs were in them..rude maids to!! Called health dept, just gross! They should do much, much better. It needs major quality assurance review. Ask for a can of air freshener at check in. Be sure to turn down the bed and check for little black things in the sheets before unpacking. "Staying at Storrs --- GO UCONN HUSKIES"
Convenient hotel for visiting students at UCONN ... 7 minutes away and is surrounded by all the amenities you will need. The staff is very helpful and this hotel is clean. value-added continental breakfast. "short stay for an educational course in the area"
room clean and quiet, whole facility is clean and the staff was friendly. good breakfast selection. the guest were even friendly. this is a beautiful area and I would highly recommend this location for seasonal folks who want to enjoy the scenery an the activity in this area. the location is great for the educational course i was here for. I would definitely come back if there was a need to be in this area. the office manager Jenilu Zboray was great at the front desk for check out--smiling and friendly with a great accent too!! "Comfortable beds, good service, good location for UCONN events"
We spent two nights here while attending a weekend event at U of Connecticut. At checkin, the clerk spent considerable time successfully accommodating my request for a king bed on the lower level. The room was spacious and quiet and the bed was SUPER comfortable. The AAA rate was reasonable. It is a very good mid-level hotel. I would definitely stay here again. Good location in this part of Connecticut. Easy to find, comfortable and clean room, competent help. Breakfast buffet was above average. Would not hesitate to stay here again, or recommend to others. Pricing was very reasonable as well. I was visiting my daughter at UConn and the Best Western is conveniently located to the campus (about 5 miles from Storrs), very fairly priced, and offers a great value for the money. The hotel is in a nice location with plenty of shopping and restaurants near by. Rooms are spacious and comfortable, and the free WiFi is a nice added amenity. I enjoy staying at this hotel when I am working in the area. It is a convenient location and the staff are very pleasant. The amenities and service are generally nice. It is a good value for business or pleasure or both. Shopping and beautiful countryside are close at hand. We were attending a family reunion in Scotland, CT and this location worked perfectly for us and others in our family. It was fun to get together with everyone for breakfast and our three young granddaughters LOVED the pool. Everything was very clean and staff was excellent! If you are visiting UCONN, the location is probably as close as you will get. The rooms are clean and fairly comfortable, so it works for a short stay. Equipment in the room did not work, such as TV, but ok for one night. However, our stay was less than pleasant. We had special room requests, that had been verified several times in advance, and we were assured that all was in order. Upon arriving at hotel, we found that they could not accommodate after all. Two young, extremely nice young men were working the front desk. They tried to be accommodating, however each one had been working there less than a month. The hotel was fully booked, and they were overwhelmed. But there was no level of management on the hotel premises. They did call the manager. After calling her no less than 10 times, she finally responded. Long story short, they could not live up to their commitment on accommodations and the manager on the phone was extremely rude and actually told me that I could leave the hotel "if I didn't like it!" I will be in touch with Best Western Management about her (and to commend the two young men who did their best to help). In summary, stay here if you need the location, but go with low expectations. We were able to check in early, after a 3.5 hour ride, in order to attend a wedding nearby. Manager was very accommodating. Other than a pillow that was too puffed up for me (and I should have asked for another one), I would stay here again. "Okay hotel but only reasonable option near UConn"
I've stayed at this hotel several times. In each case, it's been decent but nothing special. The rooms have been clean, A/C worked fine, beds reasonably comfortable. The breakfast is good. There is one other option closer to UConn but it is more expensive, so this hotel is the better option. I will stay there again. We stayed at this Best Western while attending a horse show in the area. The staff was friendly and courteous and the front desk area was sufficient. The Breakfast Dining area was amply spaced and well laid out. The food offered was more than a continental breakfast with hot items , yougurt & fruit available. The eating space was clean and well cared for. There was a small gym and pool, which was a nice touch during the hot weather we had. Beds were average and not so comfortable for me. Air conditioning worked well and the room was clean . There was a good TV, Microwave and Refirgerator. All Were Clean. Parking was terrible in the annex we were located in . There were several HUGE metal containers they appeared to use for storage right in the parking area. This made getting in/out of the spaces for our rooms and that end of the entire building most difficult Even with cars we had to really jostley them around. The Value of our room for the amenities was good and the hotel was in a safe area. We would stay here again. "Not much has changed- still has moldy tobacco smell in rooms and hallways"
If you're traveling to visit UCONN, there's not much choice in terms of hotels. This one is 10 minutes away and very close to a mall with a theater and restaurants. A reasonable value but they need to work on the details of the customer experience: doors don't close well, no bath mat makes the shower dangerous, warm moldy smelling rooms. The building where we stayed was poorly constructed, such that every foot step on the 2nd floor sounds like a drum beating on your ceiling. It was OK for a night, but we were glad to get out of there. The beds were very good with a fine breakfast bar each morning. The room was very well kept. The staff was very friendly and helpful. Enjoyed a very nice stay here once again. And will continue to return. "very friendly staff and Immaculate room"
The "campus" is a bit confusing with multiple buildings but the front desk instructions were clear. It was a very late arrival after a bit of a drive but the Applebbees next door was still open and offered an opportunity for a warm sandwich and a drink. Upon checkout the front desk person was very cheery and offered to check my member miles etc. I have clients in the area and intend to return quite soon. As an aside the breakfast was quite good for this type of property. "My first visit to Willimantic, Ct in Best Western"
Despite the fact that it was hot and humid INSIDE the hotel & room, it was clean and very centrally located between Willimantic, where my friends live, and UCONN. Food in the morning was plentiful and surprisingly good. I would stay here again! Stayed here in June and had a very pleasant stay. Staff was extremely pleasant and friendly. Room was clean. Breakfast was good and had choices for all. Would stay here again if in the area. Plenty of parking. My family chose this hotel for its great location. Once arriving we discovered location was about all it had going for it. It was clean,but the room did not smell fresh, there were no laundry facilities, lots of slamming doors early (5:00 am), and a constant dripping sound coming from who knows where. All of these factors, added to terribly uncomfortable beds made for an awful night. Best Western has not cease to impress me with their excellent hotels. I stayed in Best Western in Edmonton for my graduation around early June, and still remembers the great impression that hotel made on me. Generally, Best Western has the best brand when it comes to hotel business, sometimes surpassing the rank of 5 star hotels! My hotel on Storrs Connecticut was very good, with helpful staff, excellent breakfast, and very comfortable and clean rooms. Keep on with the good work! if you travel around UConn, this is the best option (Nathan Hale inn is overpriced and mostly full). 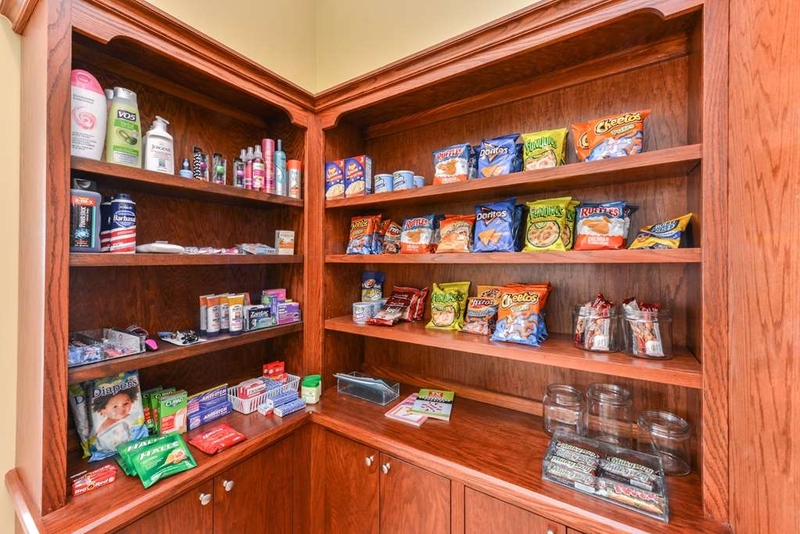 pros: nice location, clean rooms, helpful staff, good continental breakfast, complimentary grab and go items. cons: weak wifi. Convenient location for my assignment at the clinic at Natchaug Hospital. Comfortable and pleasant. Paul is always accommodating and remembers me and my preferences. Even the other guests are very pleasant and friendly. Rooms smelled like smoke/musty. Rooms were hot boxes - air was not turned on prior to us entering. One room the air did not work adequately. One of our rooms had ants. One had a stopped up toilet. No one at the desk to check out. Becky, I do apologize for the experience you recently encountered at our Best Western. We understand that the weather is rising at a huge hike due to the climate change. We have been alerted to the issue at hand, and are in the process of fixing the issues. Thank you for your response and we look forward to seeing you again. "No service or urgency "
So so clean. Someone from the previous stays items were still in the room. I am questioning the cleanliness of the room. My low battery warning and smoke detector is going off at from 10:30pm after a long days travels. Over 45mins to get some help. The phone in the room is broken. 11:30 by the time I got my room switched. Wouldn't recommend. Not a good experience when travelling for a few days and just trying to get some rest. It was just what I needed, Price, Location and Service! I would definitely recommend this hotel for anyone coming to this area, plenty of stores and restaurants, places for the kids. They have a nice pool on site as well as plenty of things to do, inside and out. Thank you to the staff at Best Western for everything that each and every one of you did to accommodate us (family of 8 = 3 rooms). You made our stay an oasis by your kind attention to all our needs. From check-in to check-out, including pool & breakfast, reasonable rates, crib and other room amenities, we were satisfied and relieved to have chosen you. "Brought daughter to attend orientation at UCONN"
What a lovely hotel. It was the least expensive hotel of all the hotels around UCONN. We checked in and Paul could not have been anymore helpful. He told us of all the amenities and the breakfast info and when we realized we forgot toothbrushes he had two right for us plus free water bottles. He researched what my Best Western Rewards info was and applied it to my reservation. Our room was very clean with a very updated bathroom. Breakfast the next day was perfect for us. It had cereals, bagels and waffles for my daughter and fruit, yogurt and oatmeal for me which I needed for my Weight Watchers plan. The breakfast area was spacious with plenty of tables and immaculate. I came home from the first day of orientation and had a few questions about the area restaurants and Michael at the front desk was very helpful. I loved the fitness room and I found the pool and hot tub very relaxing. They were both very clean. I am not about super fancy but I am a germaphobic and this Best Western Storrs is very, very clean. I was happy to meet Jenny Lou the morning I was checking out and once again I can say she was very helpful about making future reservations. The hotel is very clean,, the staff is very helpful and the price is the best around. I will definitely be back for the next four Family Weekends. Thank you Best Western Storrs for a nice two day stay. "Good enough to come back"
We've stayed here before, both times with details that the hotel responded to with incentives to try it out again. This time, no incident. Not a fancy place, and the room is a bit on the old-fashioned side, but there were no unpleasant surprises. The room could have been a little more attended to around the edges, and a fair amount of light comes through from the window on the hallway, even with the curtain drawn. The breakfast was well attended to by a pleasant woman, and there was a fair amount of choice, even some choices for those of us on a gluten/dairy-free diet. For the rest, there was yogurt that wasn't artificially sweetened (thanks! ), and there was a dispenser with fruit-infused water available throughout the day. "Excellent Stay. Better than expected"
I stayed at several hotels in this area, this one by far the best. It is not a fancy hotel, but the staff is very good that they provided a five star service. Reception was professional and rooms were clean and nicely service. I liked their breakfast which had: Fruits, Bagels, toast, eggs, pancakes, and tasty coffee. Restaurant was over filled during breakfast, but staff was working so hard and from what i saw, they served everybody very well. I was impressed with the lady taking care of everyone and really liked the attitude of front desk man who stepped in to help by carrying stuff around. "Excellent value for money accommodation in this area." The staff were very helpful and friendly, and were always willing to assist with special requests. The free breakfast was much better than what is provided as a "free breakfast" in other hotels, with scrambled eggs, sausage, and bacon being provided, as well as a range of bakery goods. Rooms were comfortable and generous in size, and very clean. Free parking in a large car park right next to entry locations near rooms. "smelly dingy room, sticky rug, decent pillows, good breakfast"
I stayed 2 nights for UCONN freshman orientation/parents orientation. I will not stay here again. I was hoping to find a hotel we could use for the next 4 years whenever we were visiting our child at college. This definitely will not be it. Hotel hallways are on perimeter of hotel, so the room "window" looks out to hotel hallway. Opening the room curtain to let daylight in means everyone walking down the hall can look into your room. creepy. So I had no natural light for my entire stay-- it was like staying in a cave. The room smelled bad, was stuffy, and poorly lit. The front door was misaligned, so the safety bolt did not lock. Morning 1, I could only get fairly warm shower water. Day 2 hot water was available. The plug in the bathroom did not work: the red reset button was missing, so my hair dryer did not work. When I unplugged it, sparks, smoke, and a burning smell came out of the plug. Next to the bed, the rug had gum-turned-black smeared into the rug. The temperature adjustments buttons on the room a/c did not work, so I could not change the room temperature. The TV remote control worked for turning the TV on/off, but it did not work for changing channels or seeing the TV guide. The room clock was set to the wrong time and the only controls on the clock were for setting the alarm time, not adjusting the time displayed itself. When I asked to change rooms, the front desk staff member told me they had no available rooms. The breakfast was sufficient, the coffee was plentiful, the staff was nice. I will never stay here again. The hotel is old and has terrible ventilation. Anyone with allergies or breathing issues should stay away. Staff is nice, but they have little to work with when the design of the hotel allows for little to no natural light or air. Prime breading ground for mold. The rooms are definately overpriced for the quality. I would not recommend staying here. "Review of BW in Mansfield"
The room was below average for the price we paid. Beds were small for 2 people to share (and my husband and I are not big people. Furniture and rugs are dated. My shower was fine, but his was cold. The front desk staff were very friendly and nice. The lobby was clean and the eating area looked nice, although we didn't partake. Hats off to this hotel and staff. Thanks Jenilu for helping my me with my reservations. She called me personally to ensure that my family's rooms were in close proximity to each other. What hotel staff does that? I'm sorry I did not meet her in person. Everyone from behind the desk to the maids were extremely helpful. My family and I thought the rooms were clean, comfortable and quiet. Breakfast was GREAT and the pool was GREAT for the kids. I HIGHLY recommend this hotel. It's very close to UConn so a welcome relief for those sitting in traffic trying to get there. I enjoyed my stay here, although reluctant to stay at a Best Western from past experience in other states. The staff at the Regent Inn was courteous, friendly and helpful. Room rate includes extensive and enjoyable continental breakfast. My room in the building across from the lobby was comfortable and quiet. There were three or four access doors to the guest rooms in the out-building. The door near my room didn't close properly, and could be opened by anyone with or without card access. That was a little concerning, however, I didn't see the neighborhood as threatening. 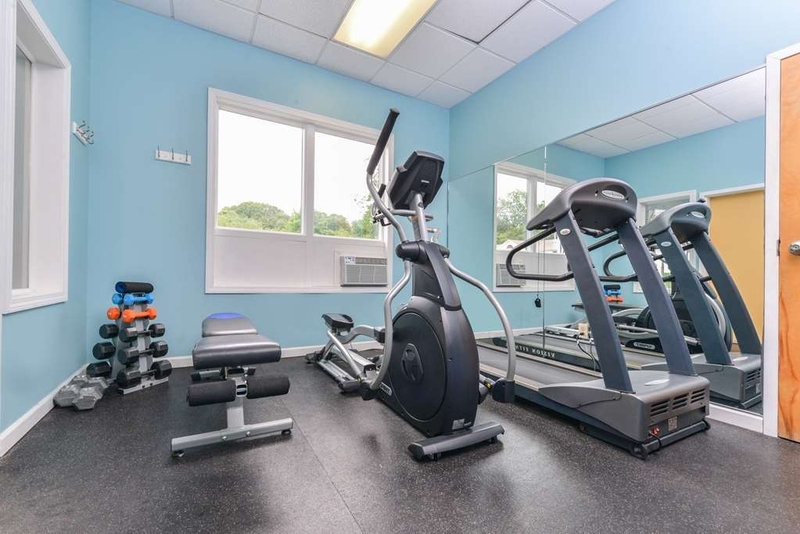 By the way, this hotel is close to shopping, restaurants, churches, UConn and Eastern Connecticut universities, and downtown Willimantic. Many of the parking spaces were occupied by a large pile of mulch and storage containers, which didn't seem to cause parking issues for the guests. 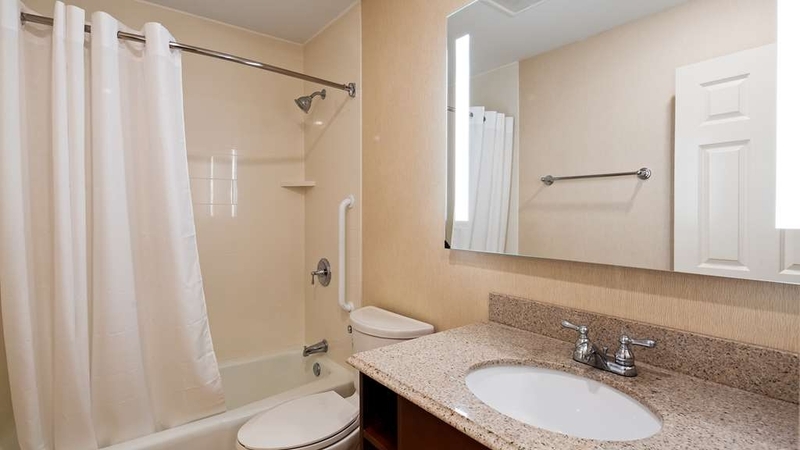 WiFi access was initially confusing to connect to, and a full length mirror would have been more helpful than just the mirror over the bathroom vanity. The pool and fitness room were updated and clean. All in all, I was pleasantly surprised by this Best Western property, and would stay again if I'm in the area. "Mansfield Best Western great value overall"
The hotel is tired and generally dingy but the room itself was clean and the front desk staff were friendly and helpful. Soundproofing between the walls and floors is poor so it was very noisy. Supposed to be non-smoking but the smell of smoke wafted into our room from the neighbors'. Breakfast is served from 6:00 to 9:30 a.m. but by 8:30 they had run out of fruit, yogurt and eggs. Free wifi did not work in the room...had to go out to the parking lot and walk toward main building. The workout room was filthy. Pool / hot tub area was dark and smelled like pee. This BW was definitely not a 5 star hotel, but it exceeded my expectations. Service was friendly, facilites were clean, and the price was reasonable. The breakfast was better than I could have expected. If the need arises, I'll stay here again! "Reliable, comfortable and very convenient to UConn"
This property is well-situated on Route 195/Storrs Road, ~6 miles south of the UConn campus. Room was clean and quiet during my midweek stay. Breakfast was quite good, offering a decent variety including eggs/sausage/bacon and DIY pancakes. Great option overall to attend a UConn event, which was the purpose of my visit. Many thanks also to the on-site team, who went out of their way to provide directions/guidance and helped me avoid local construction delays during the trip home. Stayed here for 6 nights to be near a local hospital. Teh amenities like breakfast, WiFi, and the lobby area was excellent for the value. the staff was more than accommodating and friendly. One staff member even lent us his iPhone charger till late in the night. Another staff member helped me with joining the rewards program even though she was very busy, never making me feel in a rush. The breakfast staff woman did all she could to make us feel great. This is s hotel I have passed for years as it is right next to my hometown. I was pleasantly surprised upon check in. The lobby was modern with s sitting and dinning area to the right where breakfast is served. We requested a room that was in a quiet spot and we were put towards the back Of the hotel which was quiet. The room was one the cleanest rooms I have ever stayed in. Everything appeared to be close to new and very up to date. Large comfy bed and great fluffy towels . I would definitely stay again ! "On Par With Fairfield Inn"
Strong Staff-- Jenni Lu. New breakfast area addition. Eggs, automatic pancake machine, Rooms clean. New carpet. Not a new building but not run down either. Large well lit parking lot. Interior hallway is good for winter months. Across street from Macdonalds. Given two double beds instead of a queen or king bed. The pool and sauna is only open till 9:00pm which is not convenient for the working business person. Had to drag my week packed suitcase up a flight of stairs since no elevator. for the past 3 years, I stayed one night at the hotel with my two boys and they loved it wifi was great this year they get to use the pool because we stayed 2 days they loved that they could use the hot tub as well. I love that the serve oatmeal for breakfast because that all my 12year old son eats overall great stay. Very caring personnel. Always someone asking if assistance was needed. I had fallen ill at time of departure, and the Mgr. offered the room for another few hours. Appreciated, but we declined. Thank you. This BW branch has done an exceptional job with its offerings. 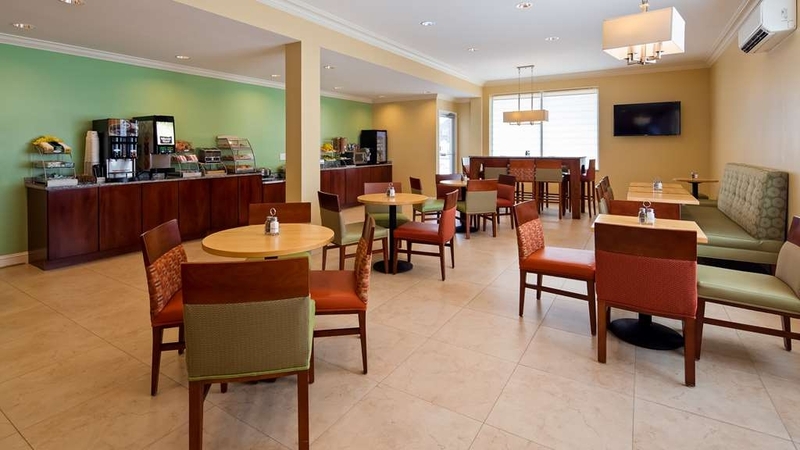 The lobby is newly renovated and you can't beat the breakfast they include. The rooms are extremely clean and the beds are really comfortable. The only minus with this BW is that the fitness center is a bit dated and some of the machines are not working. A bonus is the proximity to the Willimantic Brewery! The rooms were nice, the staff was nicer. Good place to stay when on the road for months at a time. Food and booze within walking distance, close to universities. Pool was nice, hot tub was hot, nights were quiet. All good things when on the road. I was surprised by some of the negative reviews of the hotel. I mean, as a chain you know it isn't the fanciest of hotels. You get what you pay for. We were visiting UConn and found this hotel was fairly close. The staff we encountered were all smiles and friendly. The hotel seems on the new side with new paint job, wide hall ways and large windows. Sometimes the walkways at Best westerns can be creepy. Our room was clean and the bed was fine. Nearby were some shops and places to eat.. McD's and Applebees. If you want something fancier, go into Willimantic and try Cafemantic or the Wilmantic Brewing Co for dinner. Be warned they fill up as there isn't much else in the area. While far from gourmet I was happy with the free breakfast. It "got the job done" which is what I expected. If you need an elevator be sure to ask.. I didn't see one. Bottom line.. it was ok for the price point in the area. noisy room and entry, poor customer service, awful breakfast. Staff did not speak or understand English. No receipt offered at checkout. No extra blankets provided. No elevator visible in annex building and no luggage carts provided. Basic motel accommodations with clean and spacious room. Only window opens to the Hallway and is somewhat noisy. Climate control poor. Free breakfast somewhat better than the standard motel continental fare. Clerk at check-in was new and totally screwed up our bill. The clerk in the morning was very helpful and apologetic and got it straightened out. "Great breakfast and nice sleep"
This hotel is nicely situated when traveling to the University of Connecticut. Only 10 min drive to the university while I could walk to the mall for shopping and food. The breakfast was great and I had a great start for the every day. The rooms were comfortable and quiet. Perfect for additional work or relaxing. All people took care of any problem. Thank you. The hotel is off the main highway so it was not easy to spot. We were happy it was close to the school. During the stay the hotel had some construction work that was in progress so the main hallways did not look that great but it did not effect our stay. We had non-smoking room and stayed one night. Good rates for the room. "The staff makes this place great"
It is a very basic hotel, there for folks visiting the area and not a destination type place but the staff is out of this world, friendly, helpful, knows your name by the 2nd day. Will definitely be there again when I have to visit my Brother in Windham or if my daughter gets her wish to go for her masters in Storrs. Thanks particularly to Ginny. Sort of like that aunt you had growing up who was always checking with you to make sure you had everything you needed when visiting. 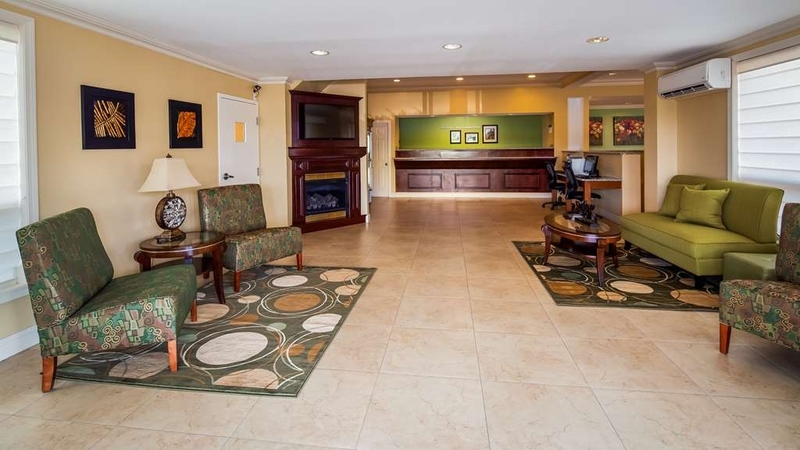 "Best Western Regent Inn Review"
A great pace to spend a vacation with family and friends. The atmosphere is quite serene and tranquil with friendly workers and comfortable rooms. 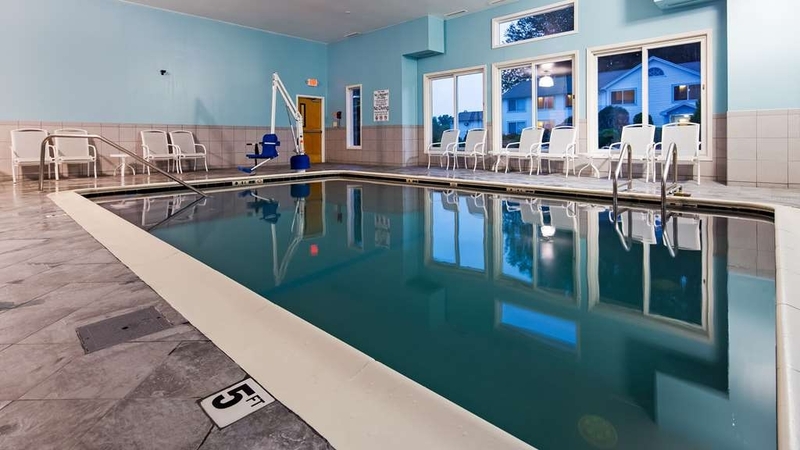 The indoor pool and hot tub are fantastic; a fun place for family. Hot breakfast in the morning puts the icing on the cake. I slept very well at night. "It shows that this is the only hotel in the area." The hotel was one of the worst I have ever stayed in. The rooms had no external windows, they looked into a corridors, as a result the rooms were dark. People smoked outside at all hours and consequently the rooms smelled of smoke. The heating unit was so loud you had to turn it off at night. Guests were also noisy and I was woken at 3 am by slamming doors. It was over priced which I guess is because it has no competition. Truly an awful experience. I will never stay at a Best Western again. I have been here for couple times with my families before. And today I came alone and Jenilu was so kind that she gave me two secret Christmas presents. All the services are with enthusiasm. Good place to live for sure. Good spot to grab a room on the go. We were travelling and needed a place to stay. This was within our budget and met our needs. There is a breakfast bar, which was helpful in the morning. Definitely a respectable stop. Very nice hotel, clean and quiet! Good to go! It was a very nice experience living in this hotel. Everything fit me. I travelled a lot because of business, lived a lot of hotels. This place is one of my favorites hotel. Hope you enjoy your stay!! This hotel features small, dark rooms. There is only one window and you can never open the curtains because the window looks out on the public hallway. There was no carafe for the coffee machine. No drinking containers were provided in the bathroom; when I called the front desk to ask for some, I was told to use the coffee cups. The heating system was hard to control because it didn't seem to pay any attention to the thermostat setting. There was quite a lot of mildew in the shower between the tiles. Every feature in the room except the TV was bargain basement cheap. "perfect. i slep like a baby"
I like this Best Western inn. It has good location and breakfast. It is clean and warm. and there are a mall and some restaurants near to this inn. It is very convenient. also I like that I do not need to check out early. We have stayed at the Best Western Regent in Mansfield Center many times while visiting family in the area over the years. This hotel continues to improve. The latest addition of a breakfast room on the main floor adjacent to the lobby is a big improvement in terms of accessibility and atmosphere. So bad! Stayed here with my schools Model UN club and I was so disappointed. Room keys didn't work half the time, no one EVER at the front desk answering the phone, rooms have no temperature control, television does not work, bed is terrible and you can feel the springs. I don't want to ever have to stay here again. Sad. This hotel is clean and has been renovated. Internet does not work well in second building but is fine in the first. The best thing that can be said about this hotel is that it is close to Storrs campus of UCONN and about 1/2 the price of the hotel on campus. The beds are comfortable, the room is very clean and the showers are great. Room could have used a small refrigerator though. The place where they serve breakfast in this hotel is awesome and the food was surprisingly good. We had 8 people, inlcuding two children, in 3 rooms and we were all very happy with the room, and especially the pool and hot tub. The rooms are up-dated and clean and the staff was very helpful and friendly. We would have liked additional blankets or a comforter. The breakfast was good and had plenty of of options for eveyone. The kids loved making waffles and watching the pancake machine! I was impressed with well-maintained pool area as this is infrequent for indoor pools at hotels. This motel is being upgraded- most of the work appears to have been completed- some rooms still to be done. Overall everything was OK but not quite the good standard of Best Western's generally as yet. But nevertheless well equipped and very clean and comfortable. There was a low buzzing noise in our room perhaps from an extractor on the roof which may disturb some. Well placed for a small number of local restaurants and a large supermarket. Reception staff were very pleasant. Our room had been refurbished although the carpet, which was badly marked, had not been changed and needed to be ( unless this had been marked after the refurb in which case guests must be to blame not the motel!). Breakfast finishes earlier than many motels at 9.30 which is a little early especially at the weekend- we missed it so cannot comment on the quality- the coffee was good though and the breakfast area was clean and pleasant. "Not sure what this is"
We were looking for a moderately priced motel near UCONN. Our granddaughter is a freshman there this year, and is on the girls varsity soccer team. Many family members are and will be visiting the area during the next four years to see her play! We are advising family to stay at your motel, because it is close and is nice for families and adults to stay there. There are restaurants near by and so are the highways needed to move around the vicinity easily. Very clean hotel, friendly front desk and very convenient when visiting UConn. Great hot breakfast in the morning - Omlettes, pancake/Belgian Waffle machines, etc and very friendly staff. Will stay here again when visiting UConn. We had a very clean smoke free room. Giving a 4 Star since the WiFi did not work in our room. I have stayed in many BWs over the years. This is the worst one I have ever stayed in. All rooms were supposed to be smoke free. It had definitely been a smoking room. Smell was terrible. The hotel even had a deodorant on the ac unit. It did not help! Facility was being renovated. Carpet in hall had been removed and bear concrete surface. Bed not comfortable. Very noisy as we heard the people above with every step they took. Went to take a bath in morning and no hot water! I bet it was my fastest bath in history. Everything in the room smelled like bleach mixed with smoke, furniture, sheets and pillows. Very disappointed! "OK to spend a night "
Simple, no frills hotel for one night. Daughter and I spent one night here before visiting UCONN. It was clean and all we needed and nothing more. We used the hot tub and pool. Absolutely the smallest hot tub I have ever seen...there are corner bath tubs in single wide trailers larger than this hot tub! The pool looked smaller than a back yard unground pool. Breakfast is provided and there are plenty of healthful choices-yogurt, fruit, toast, instant oatmeal. They have hot items as well-all of which were less than appealing. Scrambled eggs were dry and pebbly, the turkey sausage patty was overdone, and the automatic pancake maker should never have been invented. It's just a bad idea! "needed a hotel in the area"
the rooms are on the smaller side, but overall I was very happy with this hotel and it's location to our weekend activities. There's a few shopping centers next door, a 24 hour McDonald's if you get desperate and a great coffee shop next to the Staples across the street. "Will not choose this place again!" I booked 2 months in advance, for a wedding) a king room ( my husband is 6'4) when they gave us our paperwork I noticed they had us in a double. I asked the lady to correct it she said they were booked. The room was visually clean but smelled like old pipe tabacco. 2" gap under the door, drywall mud on the ceiling. Paper thin walls, and our beds were awful. They leaned and one thin blanket. Worst nights of sleep in a hotel ever! Extremely disappointing! I really love this hotel. Very comfortable sleep, room is supplied with toiletries and coffee machine. Very clean. Close stores and historic sites as well as easy trip to UCONN. Will always stay here when up visiting. I had a pleasant stay at the best western, the staffs was awesome. Especially a staff name carmen sh was nice,awesome had good customer service and helped me with an issue i had with a room. She took care of the situation quickly and with a professional manner.She was very professional in her job.